New Zealand’s first fully “smart” hotel has opened its doors in the heart of Queenstown. 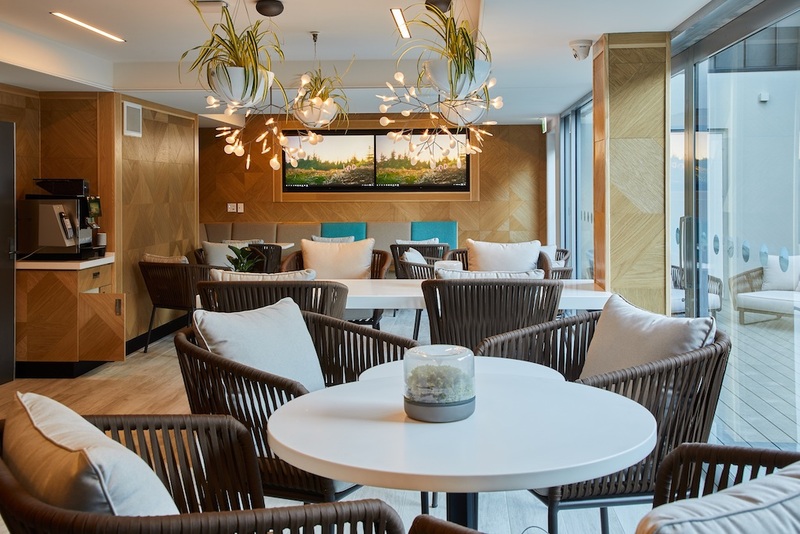 The six-storey, mid-price hotel in Henry Street features the latest in-room technology, multiple social spaces and an impressive rooftop terrace with superb views of The Remarkables mountain range and Lake Wakatipu. “mi-pad is a next generation, energy-conscious hotel experience for the smart traveller – the ultimate marriage of technology, sustainability, comfort and convenience aimed at the tech savvy, young and young at heart,” says hotel manager Elizabeth Torres-Green. The hotel has 57 rooms including four wheelchair-accessible style bunk rooms and twin room options. She says the hotel has made a commitment to sustainability which is evident in the eco-sort recycling bins and motion-controlled LED lighting and air conditioning that help minimise energy use. The same philosophy is embedded in the hotel’s design which includes a self-watering living wall, with over 500 individual plants, which Elizabeth says adds refreshing greenery to the ground-floor courtyard space. The interior design is inspired by Queenstown’s natural surroundings, including pebbled walls to symbolise local rivers and luxurious merino wool soft furnishings. “I genuinely believe the way mi-pad Queenstown mixes technology and sustainability can challenge conventional thinking and drive change in New Zealand’s hotel industry,” says Elizabeth. mi-pad Queenstown offers a simple, no hassle formula for guests checking in. Elizabeth says, on or before arrival, guests can download the hotel’s app “mia” on a smartphone to book their room and then use as the room key. She says this doesn’t mean that hotel staff aren’t on site. Elizabeth says there is no restaurant at the hotel, but they do have dedicated social areas where guests can bring their own food and drinks.